Like a narration.I do know that we need food for our hair to grow,as do the whole body,but as for the hair itself it is dead.Analogy right? Exactly. 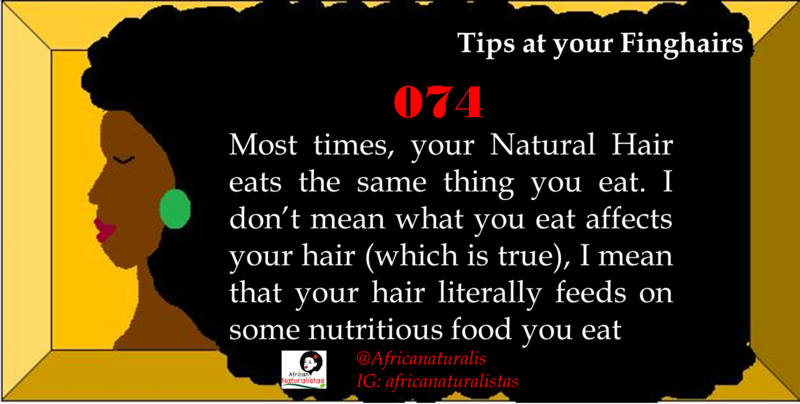 That's why these hair/nail supplements work most times. Some are nutrients we don't get enough of from food alone. Feed the body well and every other thing will benefit from that. As in,I took supplements for a month and my hair grew almost an inch,i was more than surprised.I have to continue. I need to get on that asap. My girlfriend who uses supplements have been singing its praises in my ear. Like even she can't believe the growth rate. Yup,water the plant it will grow.Products can only do so much. Health is wealth!!!! Have you guys checked out the following blogs Vegan Nigerian and African vegan aka Vegan Life Now? Defo do they do a few yummy but healthy 9ja recipes!! !